and more importantly, discovered myself. Applicants applying for advanced placement will be considered on an individual basis. The administration will take into account official transcripts from other training facilities and work experience. Instructors will take attendance in all classes. Students are required to meet with instructors to make up any missed class. If a student misses more than 10% of a class that is not made up, they will receive an ‘Incomplete’ for that class and the hours will be reflected on their transcript. behavior that is harmful to other students, staff or the reputation of the school. Student progress is evaluated through written exams and practical observations. Students must maintain a ‘C’ average or better in Anatomy and Physiology and Kinesiology. All other classes are graded on a ‘Pass/Fail’ basis. A leave of absence will be considered on an individual basis. If a leave of absence is granted by the administration, all work missed must be made up on a schedule approved by the staff. Students are required to make up any classes missed due to absence. It is the student’s responsibility to meet with the instructor in regard to makeup work. If the student fails to make the work up, they will receive an ‘Incomplete’ grade and the hours missed will be reflected on their transcripts. Re-enrollment is totally at the discretion of the staff of the school. After a personal interview with an administrator and careful consideration a decision will be made. 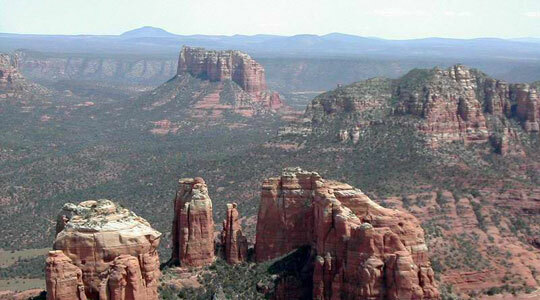 These policies apply to all certification programs offered at Sedona School of Massage. The applicant may cancel this contract and receive a full refund of all monies paid to date, if cancellation is made in writing to the Director of the school, and mailed/delivered to the Institution at the address stated herein within three (3) business days after the date of the signature. The refund will be made no later than 30 days after the school receives a written notice of cancellation. Textbooks are not refundable unless an applicant cancels within three business days of signing an enrollment agreement, and if there are no markings in the textbooks. If any course offered by the Sedona School of Massage is cancelled for any reason, all monies collected will be fully refunded. Students withdrawing from the program are required to meet with a staff member and sign a statement documenting the date of withdrawal.